These were some special request projects I worked on a few weeks back and I'm just now getting around to sharing. I often take the pics, edit, save to a folder and forget about them. 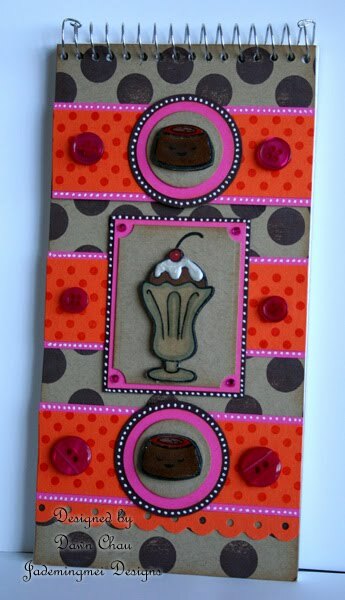 After getting all caught up in the craft show stuff, some things had fallen by the wayside....sooo, since I'm overdue with new pics, you get 3 fun projects to check out today!!! 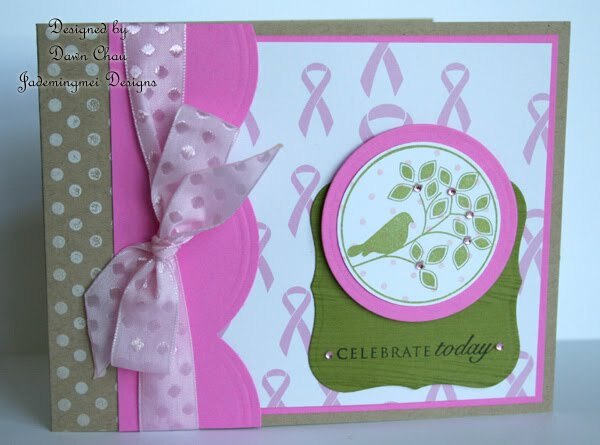 First up are some cancer survivor cards made with Papertrey Ink's Anniversary Set...2nd or 3rd year? I made my own patterned paper with pink polka dots, then added the bird scene over it. 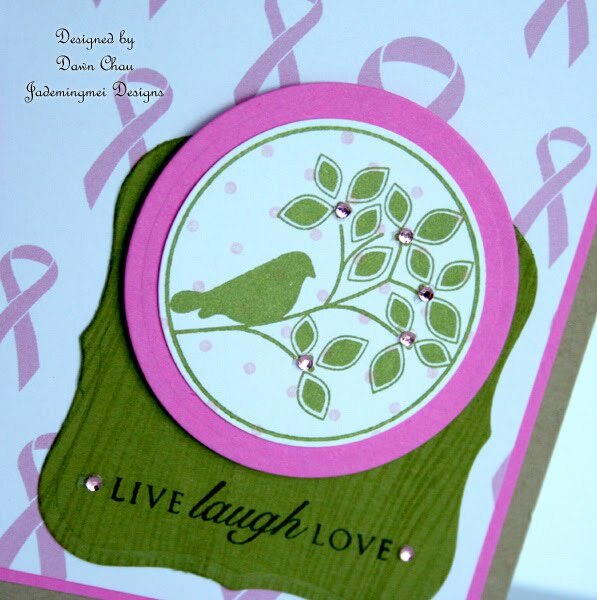 The "square-ish" shape is from my nesty dies and for a little added texture I used versamark with my wood grain stamp. Ice cream and sweets overload! Love the old fashioned ice cream cup complete with shine and oozing marshmallow topping. You can "almost" taste it right? This notebook was hard to photograph, but looks just lovely in person! Without intending, the design looks like a quilt with all those dots. 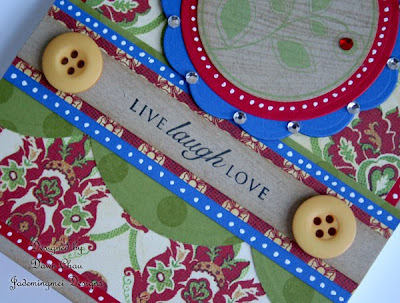 The patterned paper is Graphic 45...they have such a fun and vintage look to their papers. Those are great! 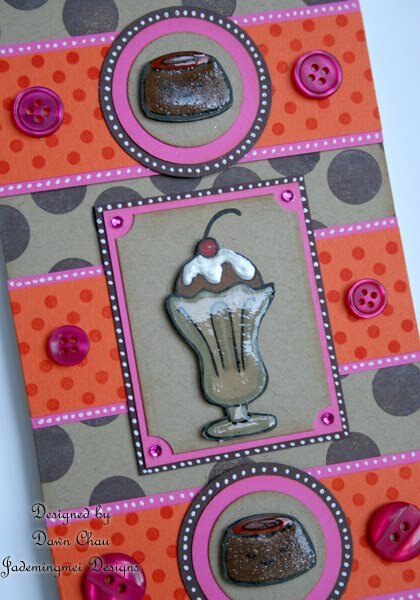 I love the ice cream one and the colors you used! That is so cute!! 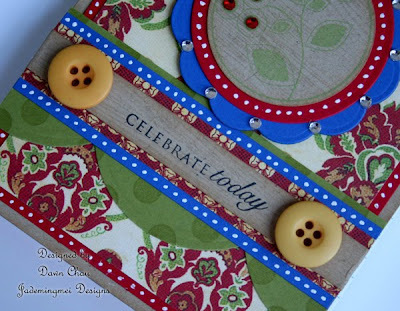 Your card is adorable and the bottom notebook is beautiful!